A customer from Philippines purchases a walk behind roller for sale in Henan Yugong Machinery Co.,Ltd in March, 2017. 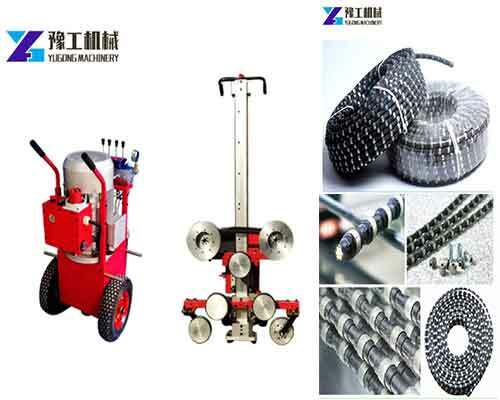 There are two types of walk behind vibratory roller in our company, the single drum walk behind roller and double drum walk behind roller. These two models are the two most popular roller types, which are easy to use, reliable, inexpensive, solid structure, as well as the volume is small, the function is strong, energy consumption is low. 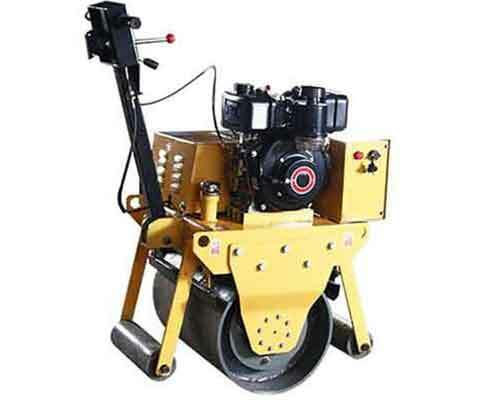 So if you are looking for the road roller machine for narrow areas, the walk behind model will be your ideal choice. Then you can choose whether to buy the single drum model or double drum model depending on the working efficiency you want. 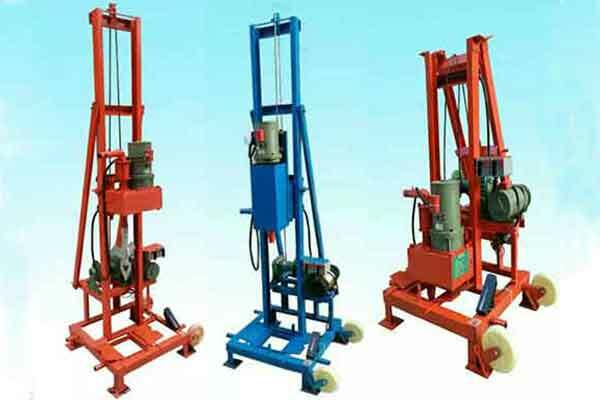 The machine weighs 550kg, the size of the steel wheel is 426*600mm with the speed of 0-4km/h. It has strong compaction density and high working efficiency. The volume of the water tank is 15L and the volume of fuel tank is 3.6L. The driving mode is hydraulic transmission and the vibration mode is mechanical transmission. In addition, engine can be diesel or gasoline, customers can choose according to their own requirements. 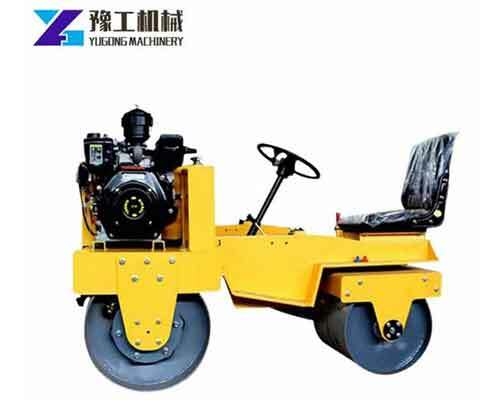 Of course, if you would like to buy a more labor-saving compaction equipment, you can choose the ride on paving roller machine. The ride on model is always tandem road roller. You can check the parameters below to choose the type you want, or you can click the picture to check more on the product details page.